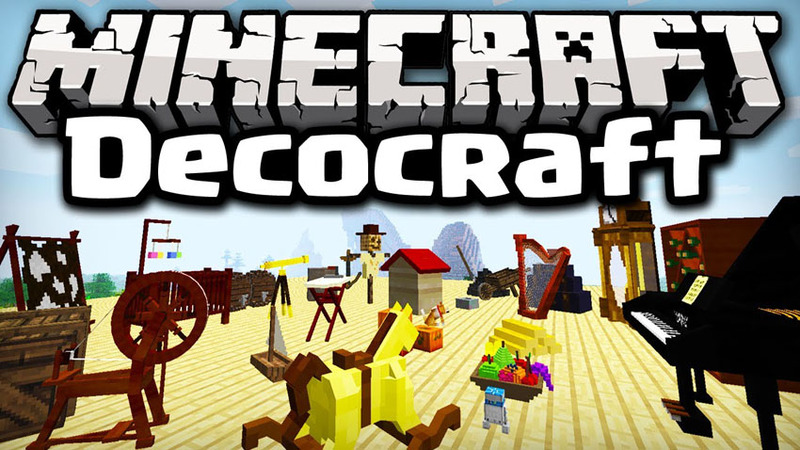 DecoCraft Mod 1.12.2/1.11.2 adds in over 300 decorations for your Minecraft World. It also adds a bunch of new props to the game to give your world a bit more life. You can now craft anything from furniture and silverware to lamps and beer kegs. This mod will definitely give you a lot more variety when decorating your builds.Many of the new items are actually functional as well and there is brand new textures!